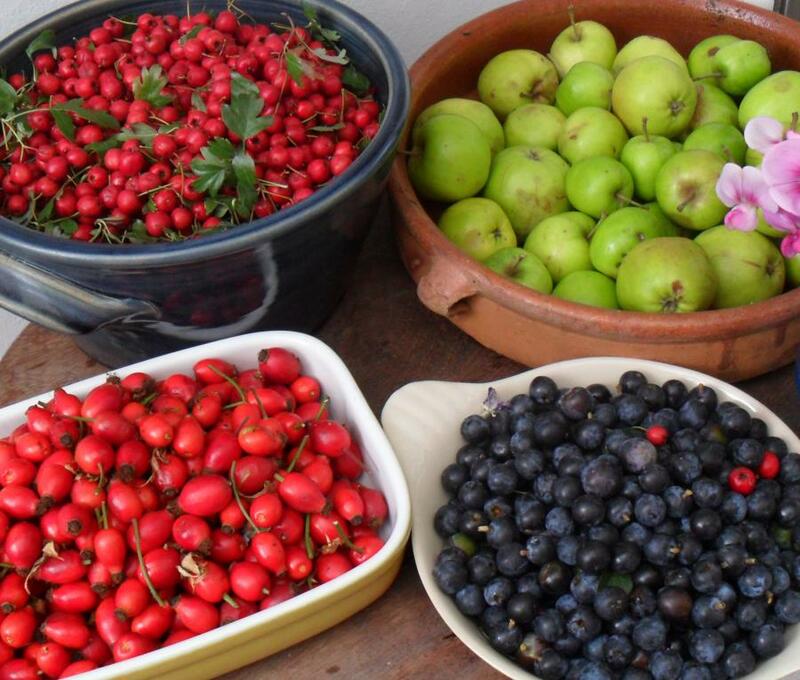 Some secluded wild spaces around here in the East End of London provide many opportunities to pick lovely wild berries and fruit. Last year it was the Rosehip Syrup from a wild rose bush growing around the corner from Love Jam house, but this year we were determined to make more use of the foraged fruit. Neighbour, Graeme knew a huge wild apple tree - laden with crabby green apples and Pat picked some sloes in Wimbledon. These were to be the basis of a new jelly. With the addition of some rosehips and a few haws, there it was – beautifully coloured, nicely set, exquisite tasting jelly which we named Hedgerow Jelly. We only managed to produce four batches; two of them made with some Scotch whisky for a little extra kick. They are going to be lovely with roast meats this Christmas!